Bristol Blue is a large, roomy house that provides space and comfort to more than one noisy family at a time. 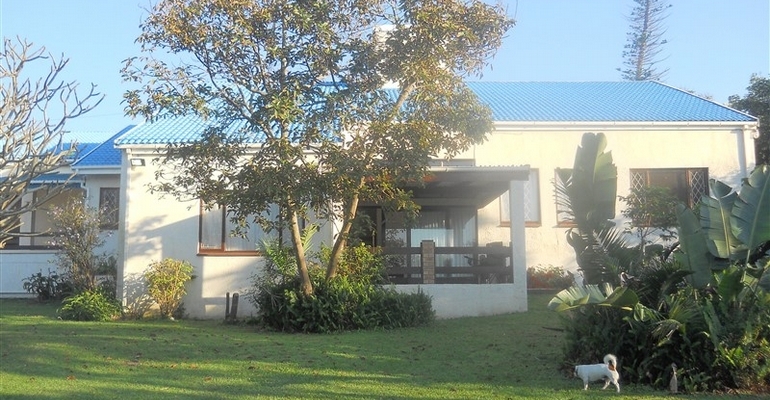 Located in the peaceful town of Port Edward with 5 bedroom, 3 bathroom and can sleeps 12 guests. The house consists of a fully equipped kitchen with dining room and a large open plan entertainment area. The lounge has comfy seating with full DSTV. Bristol Blue is pet friendly, with a large garden for your fur baby’s and the noisy kids to play in. No need to worry about cleaning on your well-deserved holiday as maid service is included. The house is close to all banks, restaurants, shops, swimming beach and the well known Splash Rock famous for its great fishing all within approximately 1km. Starting from R1800.00 per night (Out of Season). Starting from R2200.00 per night (In Season). Domestic service provided is non-negotiable. Double garage and driveway parking available.